First Look at Disney/Bruckheimer Films’ THE LONE RANGER! From producer Jerry Bruckheimer and director Gore Verbinski comes Disney/Bruckheimer Films’ THE LONE RANGER! Check out the first look below of this film starring Armie Hamer and Johnny Depp. Tonto, a spirit warrior on a personal quest, joins forces in a fight for justice with John Reid, a lawman who has become a masked avenger! THE LONE RANGER is coming to a theater near you May 2013! Meet Woola from Disney’s John Carter! Check out the clip below to meet Woola from Disney’s JOHN CARTER! Now who is Woola? Woola is an enormous creature who is very loyal and very sweet and looks like a cross between a dog and a dinosaur. Boy, can he move very fast! JOHN CARTER is directed by 2-time Academy Award winner Andrew Stanton (“Finding Nemo” & “Wall-E”) and is based on the novels by Edgar Rice Burroughs which were the inspiration for such classic sci-fi adventure movies like Star Wars and Avatar. Don’t forget to connect with JOHN CARTER on Facebook and visit the official site: http://www.disney.com/johncarter. JOHN CARTER arrives in theatres everywhere on March 9th! I know Frankenweenie won’t be out till October, but Disney just released the trailer! Tim Burton re-imagines this classic tale of a boy who brings his furry best friend back to life. Check it out below or visit Yahoo! Movies. Don’t forget to connect with Frankenweenie on Facebook! Check the New Trailer for Disney / Pixar’s BRAVE! This summer, Disney and Pixar present their latest film, BRAVE! Since ancient times, stories of epic battles and mystical legends have been passed through the generations across the rugged and mysterious Highlands of Scotland. In Brave, a new tale joins the lore when the courageous Merida confronts tradition, destiny and the fiercest of beasts. 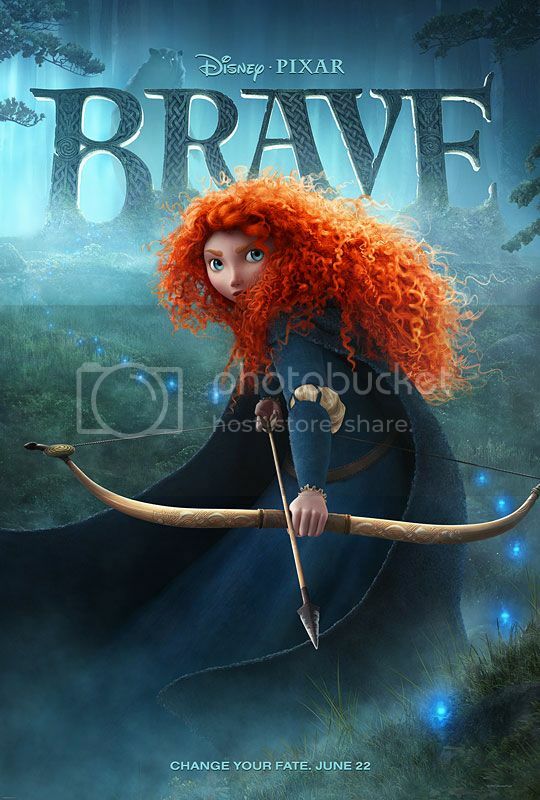 Check out the latest trailer for BRAVE! Frankenweenie Out in Theatres on October 5th! Okay, I know that October is still quite a ways away, though I can’t help but share this news with you! October 5th, Walt Disney Pictures presents Frankenweenie! Check out the theatrical poster that Disney just released.